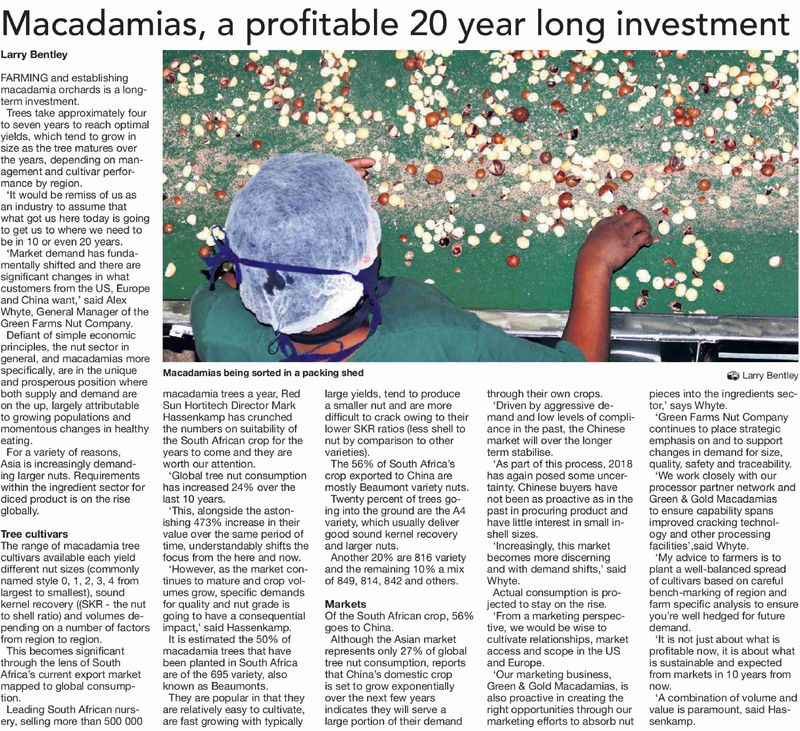 Green Farms Nut Company's (GFNC) marketing business (Green & Gold Macadamias (G&G)) and AIM listed Camellia Group Plc today announce their strategic macadamia marketing partnership. 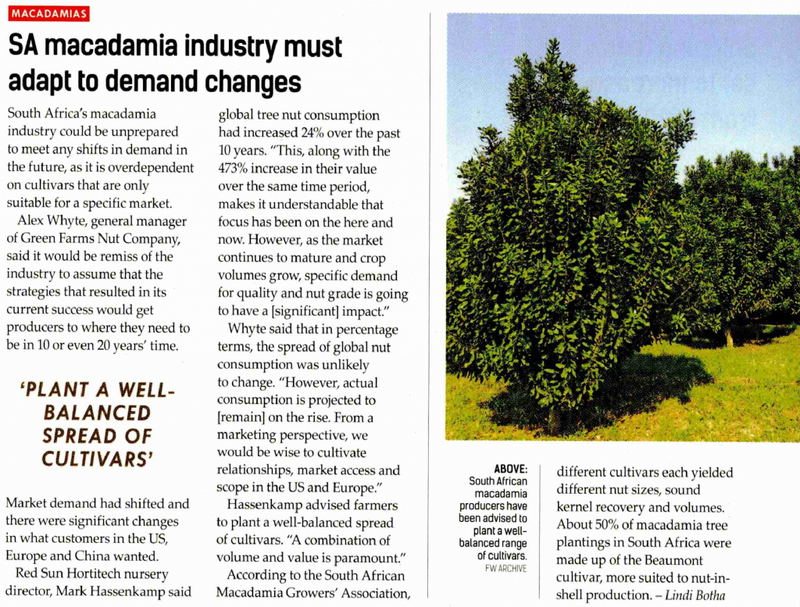 Green & Gold Macadamias (G&G) and UK-listed agriculture business Camellia Group Plc have revealed a new marketing partnership. 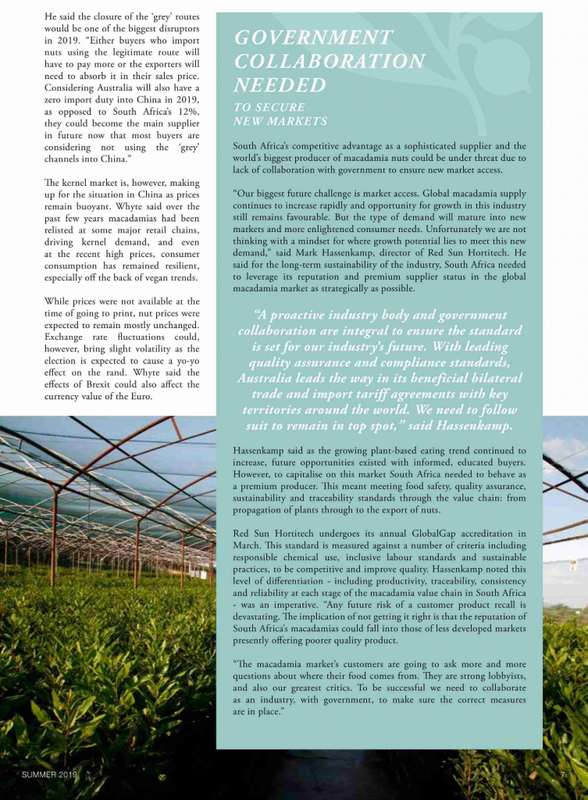 The move extends G&G’s processor and producer partner network in key growing areas such as Australia, South Africa, Kenya, Malawi and Brazil. 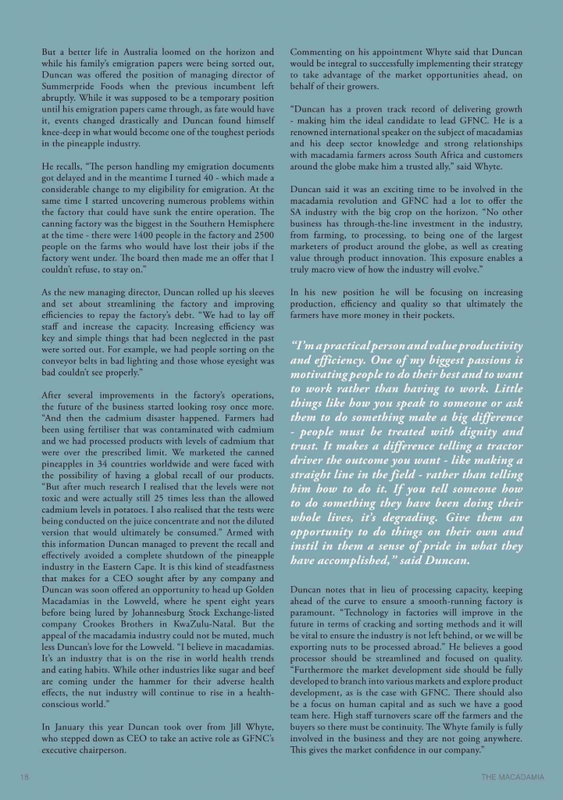 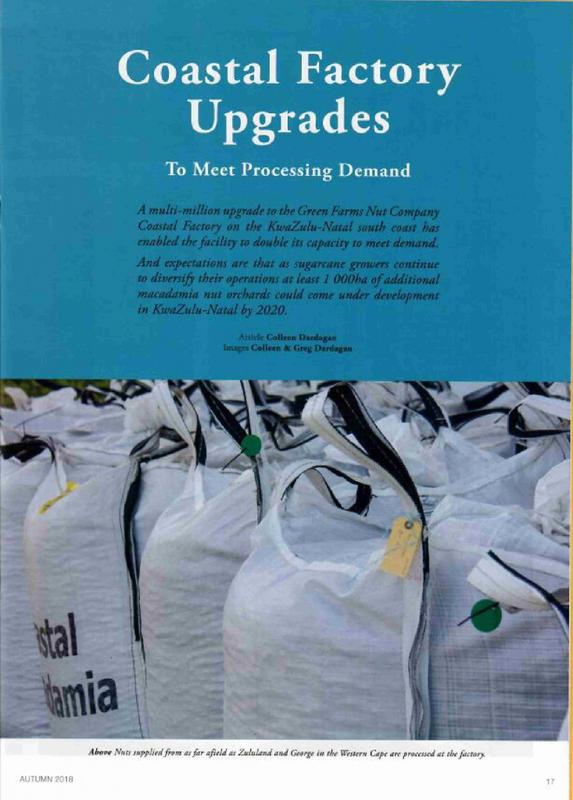 “Guaranteed increase in quality supply creates the opportunity to scale vertically into new product markets and horizontally into new geographies,” says Brian Loader, G&G CEO. 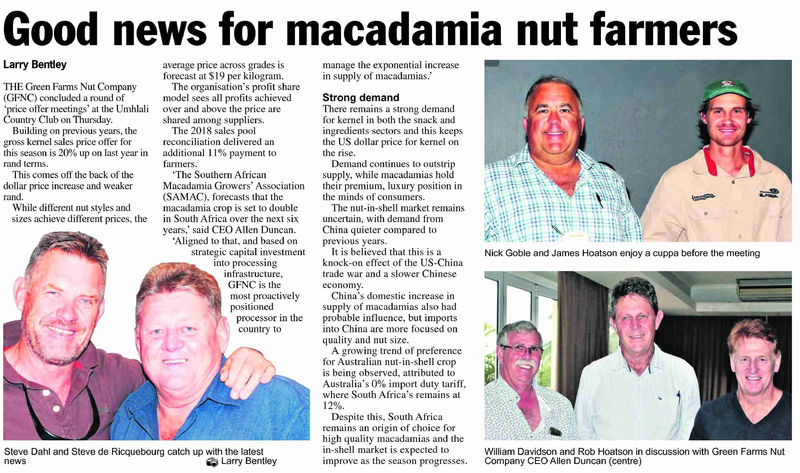 “We have a mutual interest and belief in the macadamia industry. 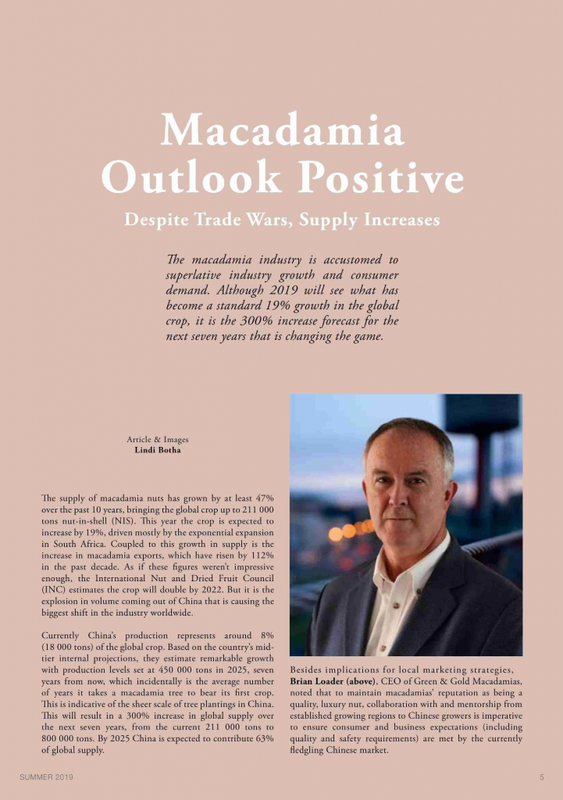 XploreMR offers a 10-year forecast for the global macadamia market between 2018 and 2028. 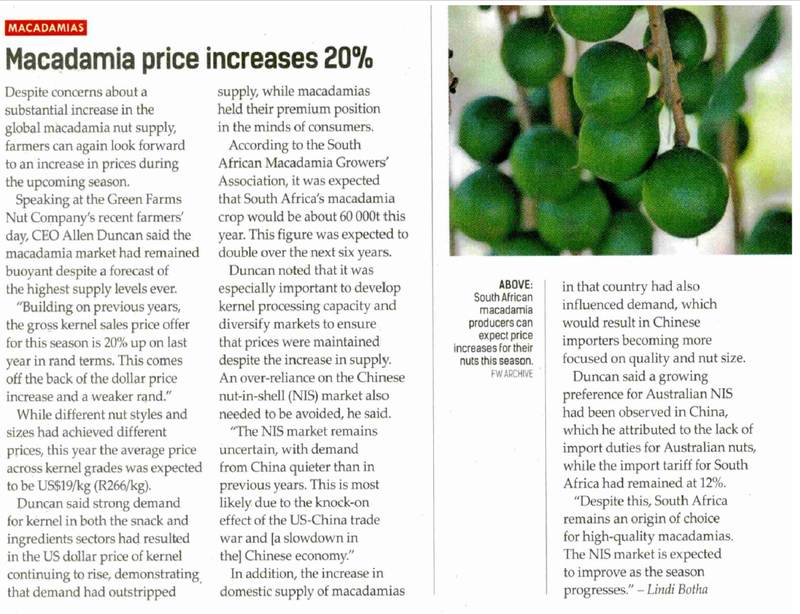 The global macadamia market was valued at US$ 2,233.6 Mn in 2017, and is projected to be valued at US$ 4,589.5 Mn by 2028 end. A strategic macadamia marketing partnership has been initiated between Green Farms Nut Company's (GFNC) marketing business (Green & Gold Macadamias - G&G) and the Camellia Group Plc. 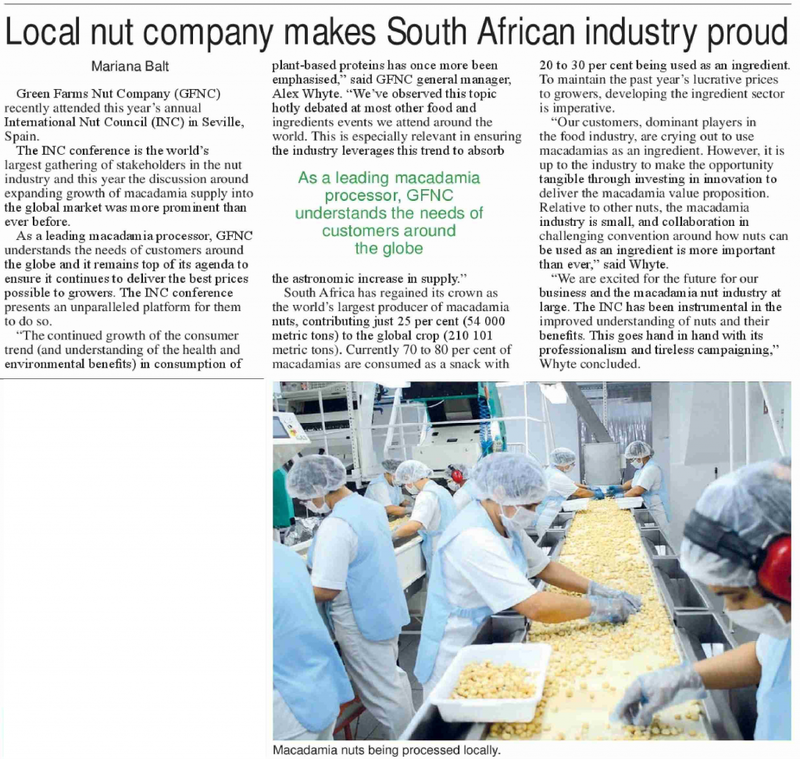 This adds to G&G's processor and producer partner network in key growing territories including Australia, South Africa, Kenya, Malawi and Brazil. 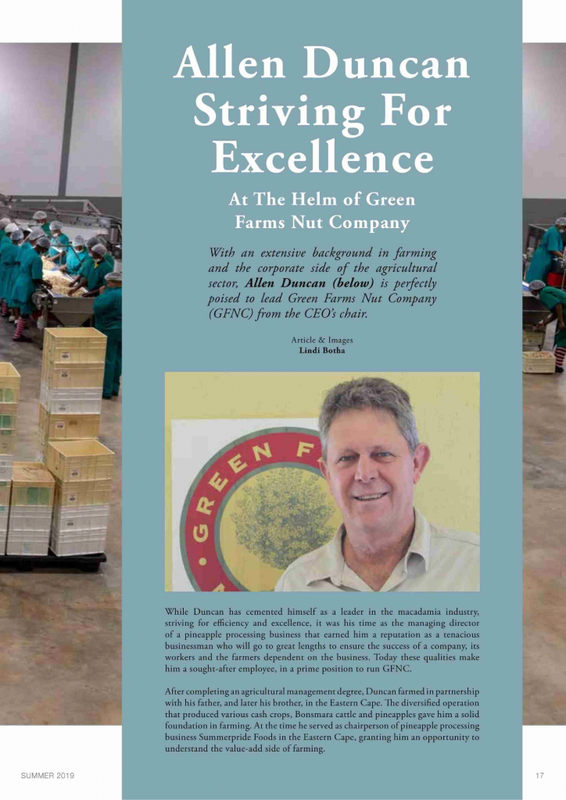 Green Farms Nut Company (GFNC) has appointed Barry Christie as its new agricultural and technical manager. 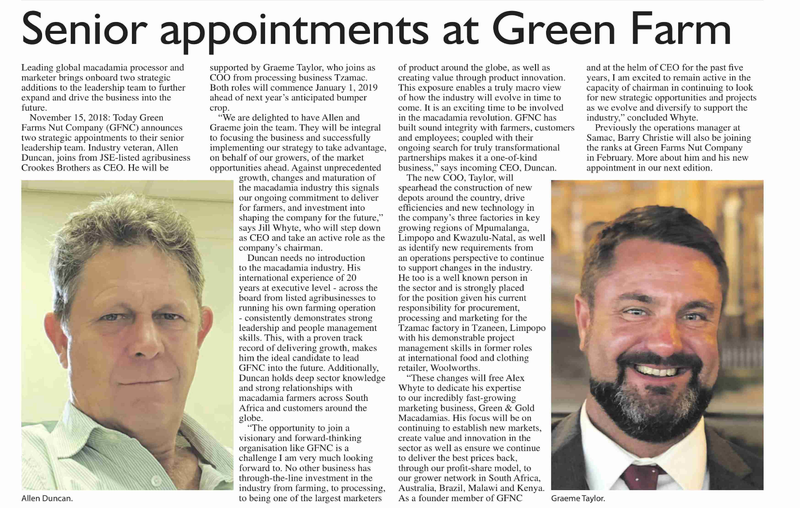 This follows the recent appointments of new CEO and industry veteran Allen Duncan and COO Graeme Taylor. 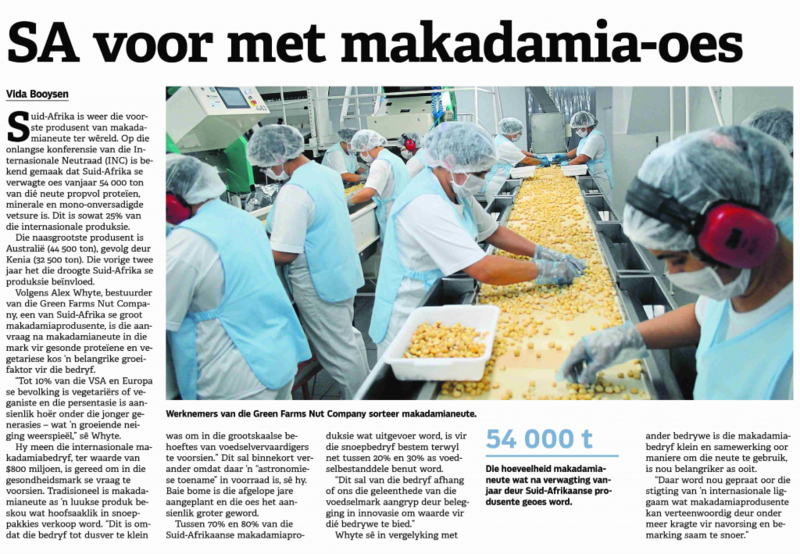 Following a massive boom in the South African and global macadamia industry, South Africa is now the largest producer of macadamia nuts in the world. 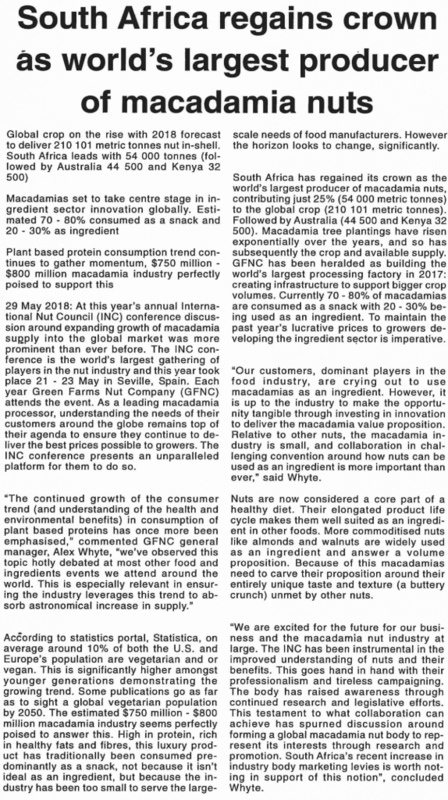 At this year’s annual International Nut Council (INC) conference discussion around expanding growth of macadamia supply into the global market was more prominent than ever before. 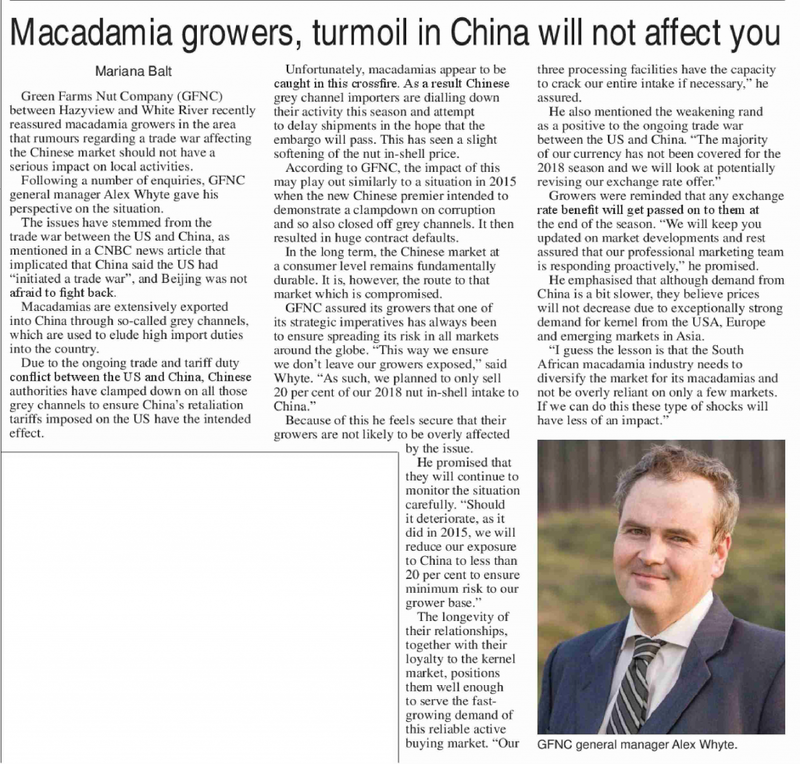 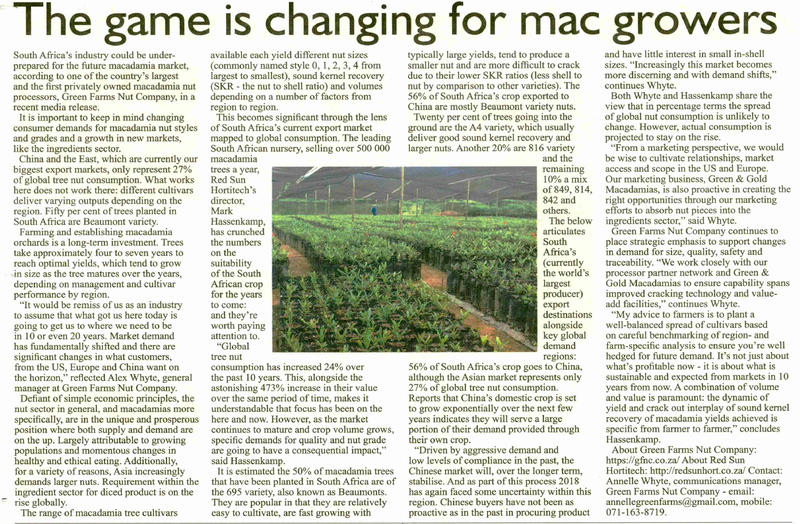 Following their attendance of the eighth International Macadamia Symposium in October, hosted in China this year, South African processing company Green Farms Nut Company, together with its strategic marketing business, Green & Gold Macadamias, garnered valuable insights into the macadamia industry. 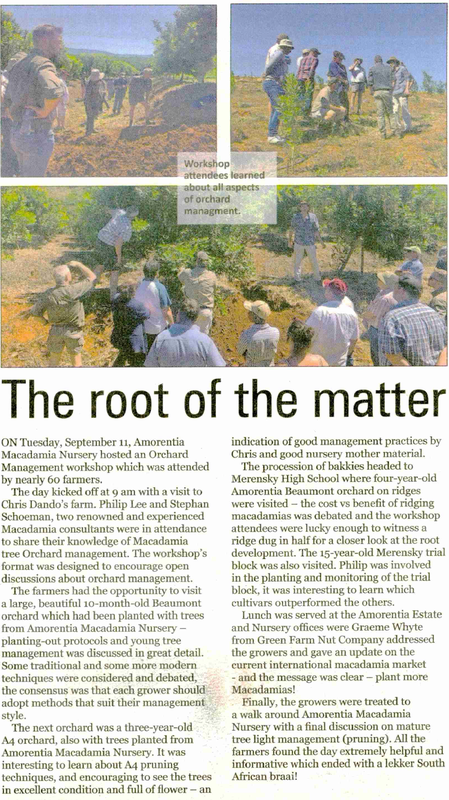 The lush Limpopo Valley region of South Africa is known as a haven of exotic wildlife and fruit trees. 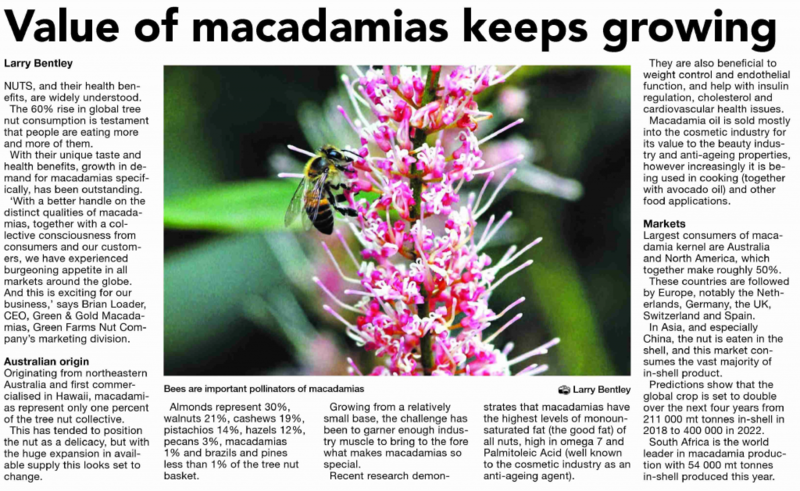 But the traditional crops of guava and avocado are making way for more popular produce: macadamia nuts. 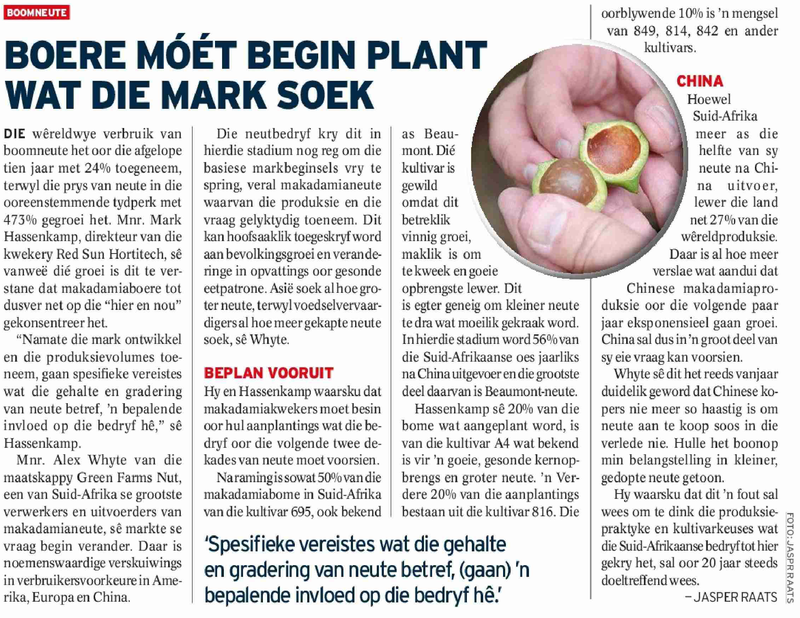 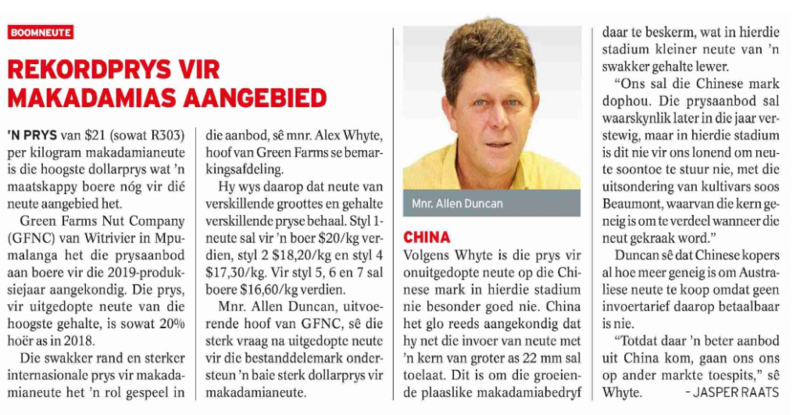 Suid-Afrika se makadamias is moontlik in die spervuur van die handelsoorlog tussen Amerika en China vasgevang, berig Green Farms Nut Co. 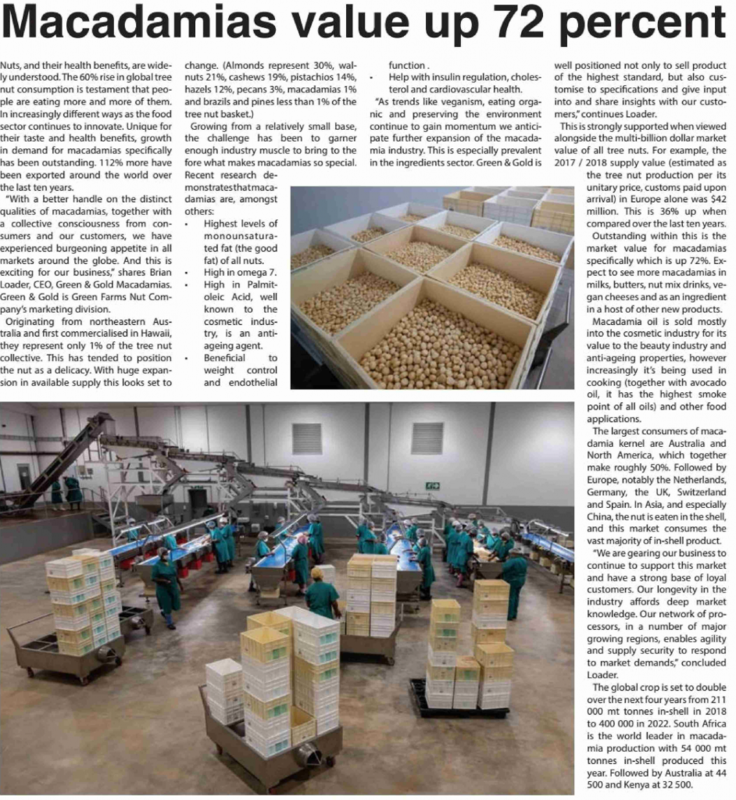 Nuts and their health benefits are widely understood. 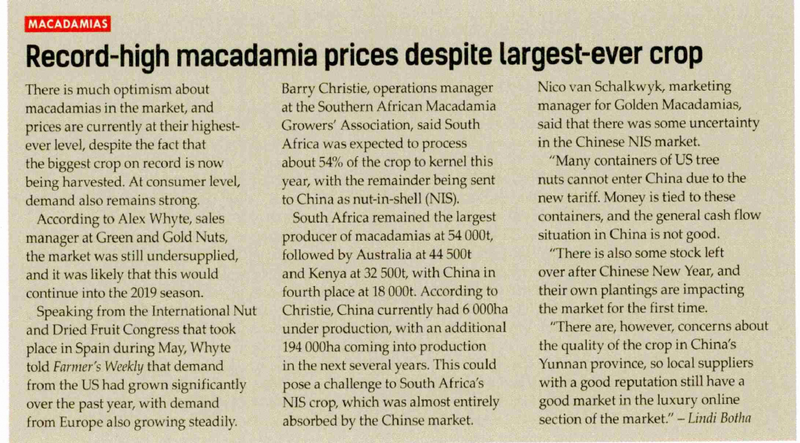 Green & Gold Macadamias has reported a 60 percent rise in global tree nut consumption, which is a testament to the fact that people are eating more and more of them. 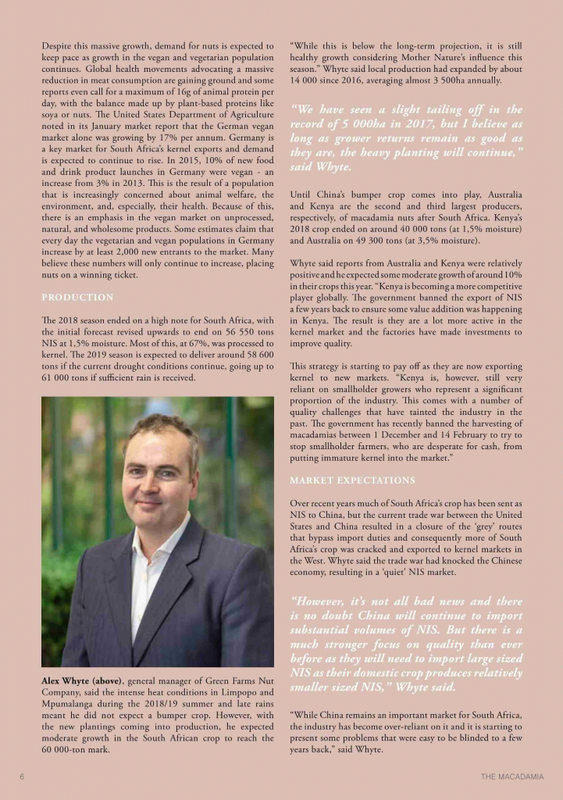 "The continued growth of the consumer trend (and understanding of the health and environmental benefits) in consumption of plant-based proteins has once more been emphasised," commented GFNC general manager, Alex Whyte. 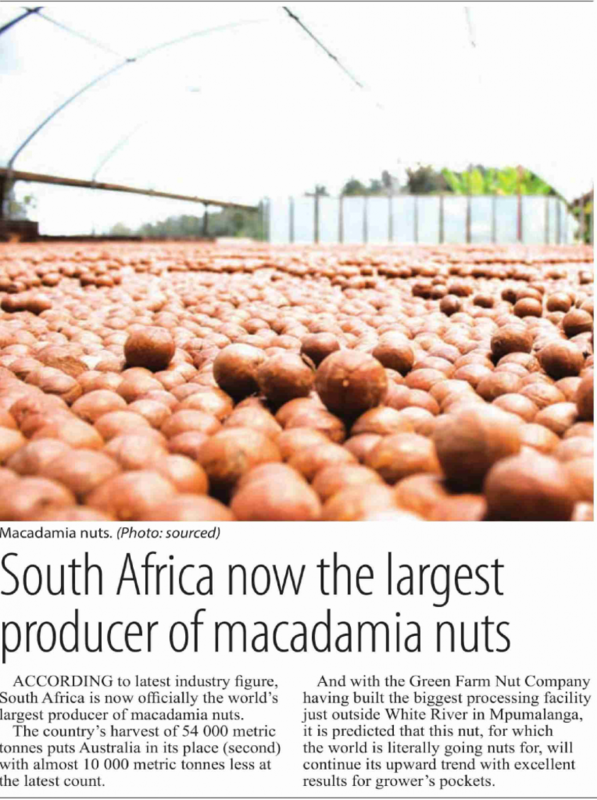 Established in 1991, GFNC is one of the largest and the first privately owned macadamia-nut processor in South Africa, handling more than 25 per cent of the domestic crop. 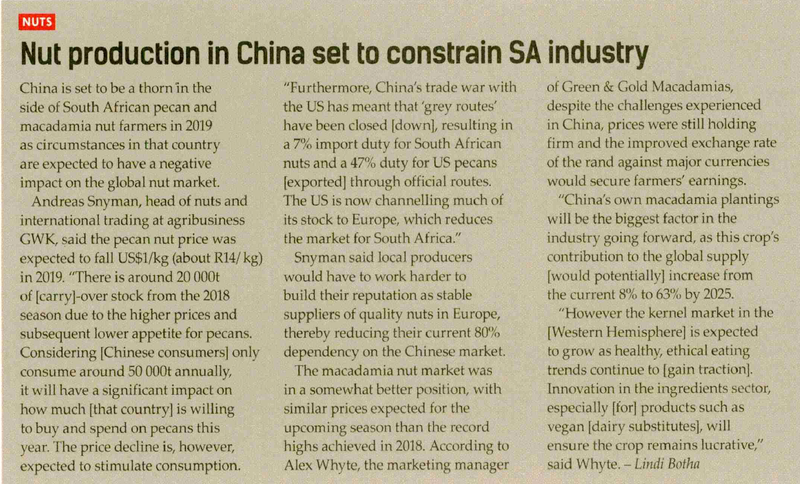 CEO of GNFC, Jill Whyte, explains that the global macadamia industry is worth $822-million (over R9-billion) and South Africa is the largest producer and exporter of the nut.